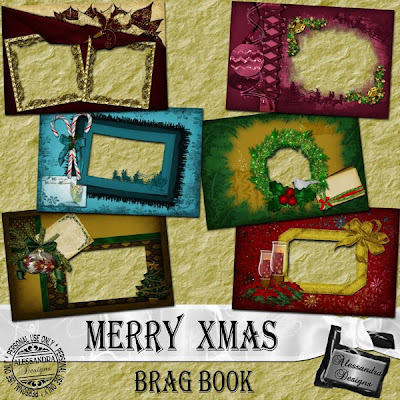 This is a gorgeous and unique Brag Book with vibrant colors and classical Christmas simbols. This is a lovely way to save your photos and precious memories of this blessed holiday. Merry Xmas Brag Book coordinates with my kit Merry Xmas, and Merry Xmas Alpha. Get the complete collection and add many more pages to your Brag Book. All Files are created at 300 dpi resolution for excelent print quality.